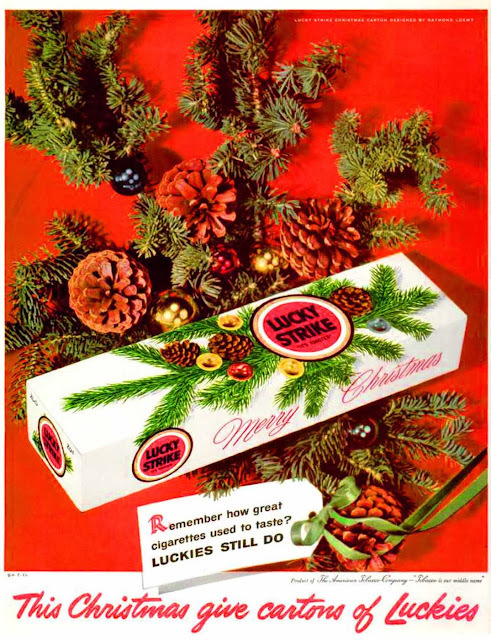 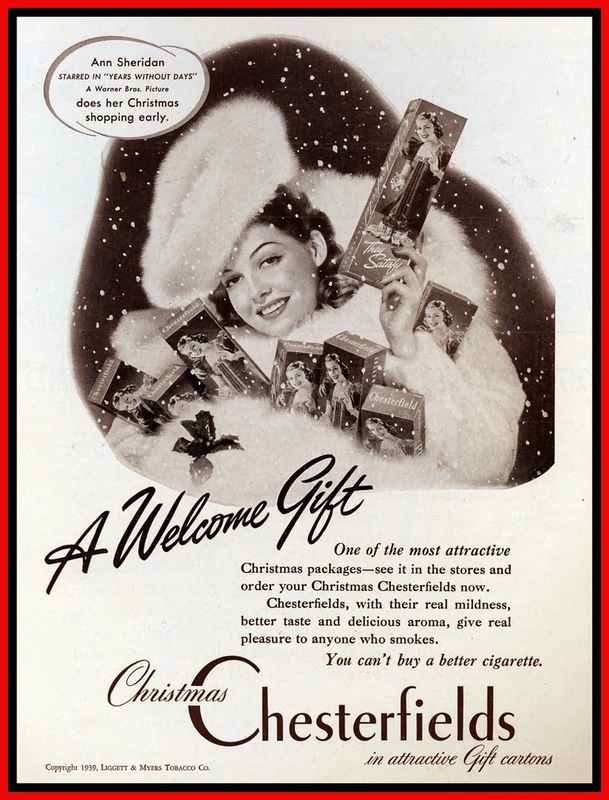 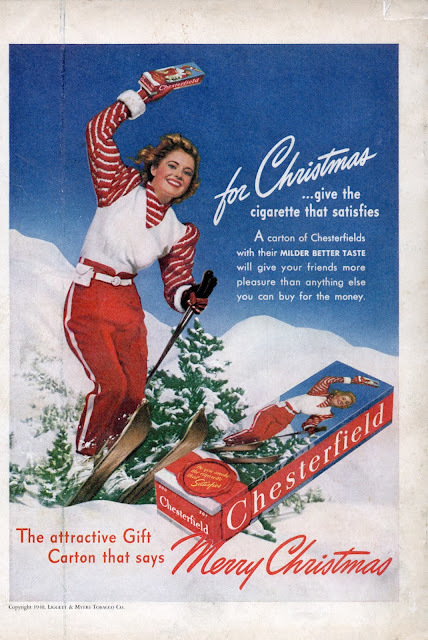 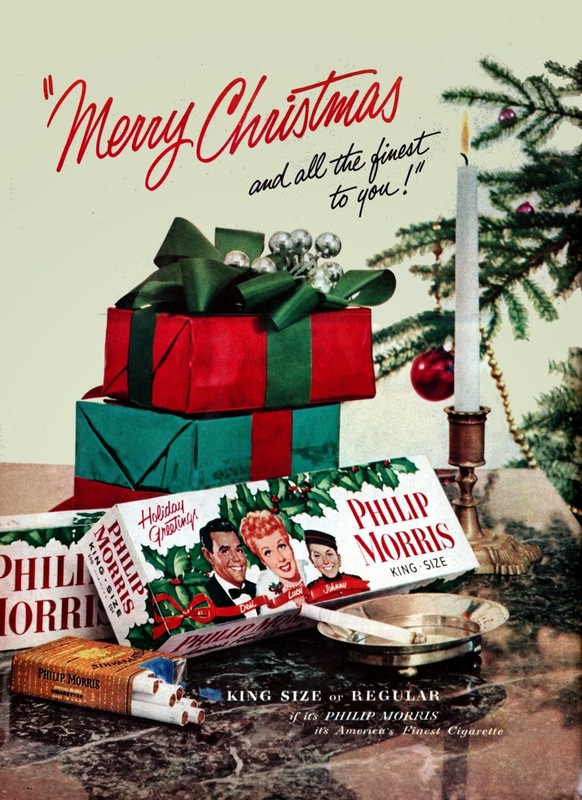 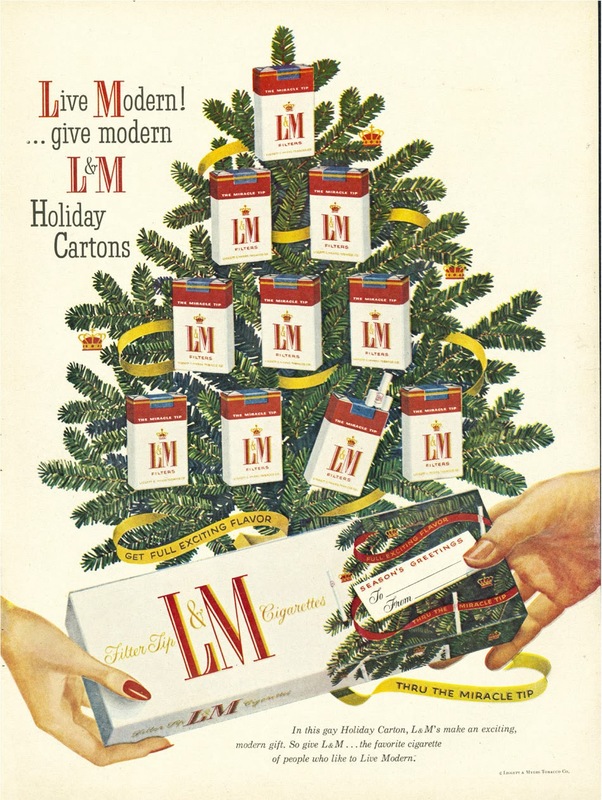 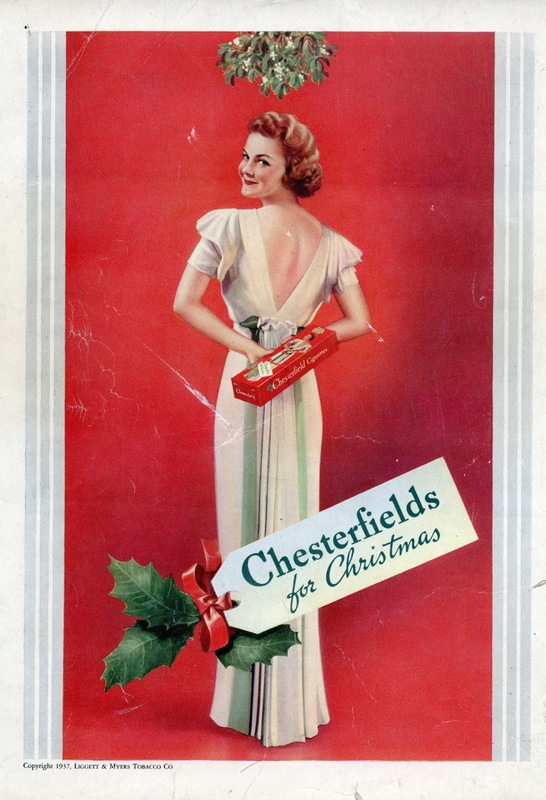 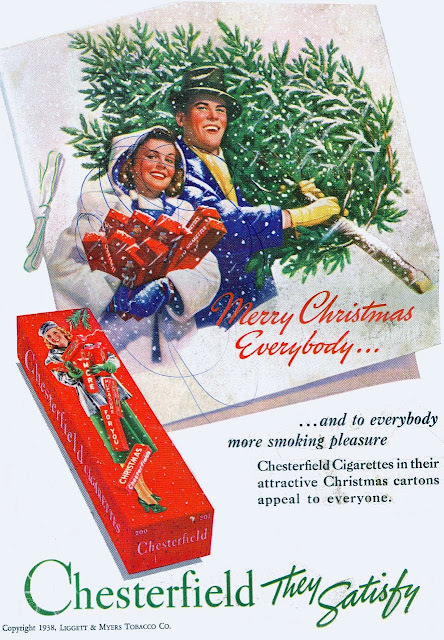 Yes, nothing says "happy holidays" more than the gift of a carton of cigarettes! 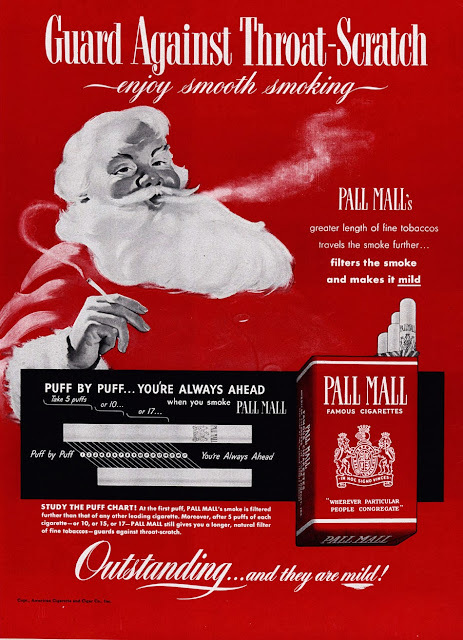 The smell of mentholated smoke just beckons ol' Santa to slide down the chimney! 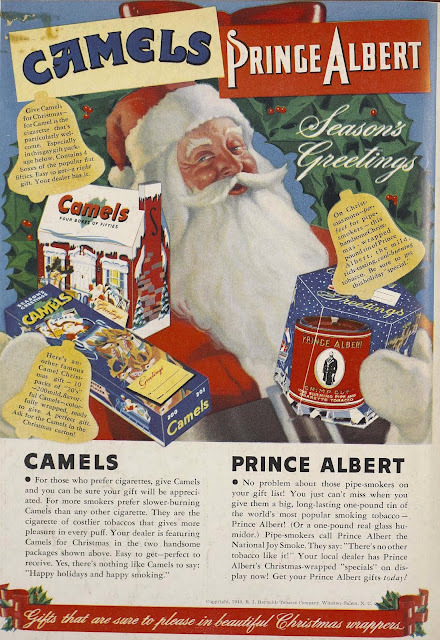 I think back in the early '60s we kids may have wrapped up a carton of Salems for my dad, which now seems completely insane. 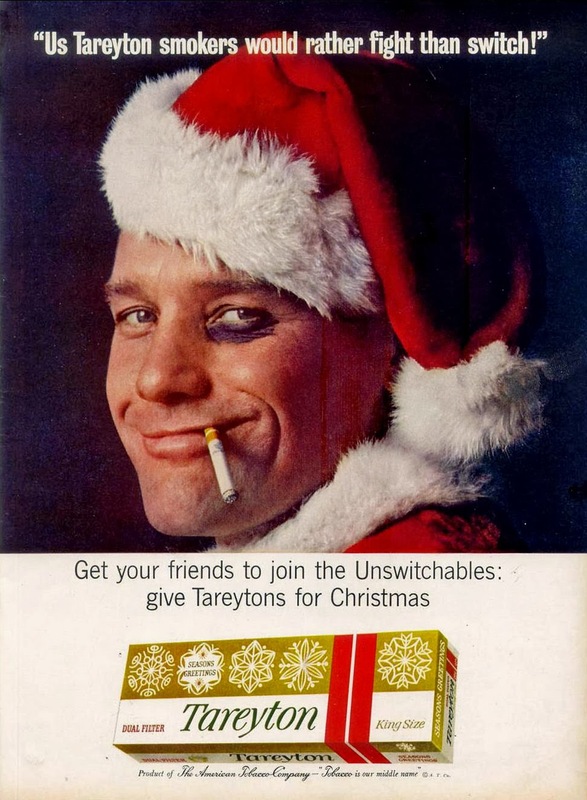 But at least everyone else was insane, too, as we might infer from mid-century magazine ads. 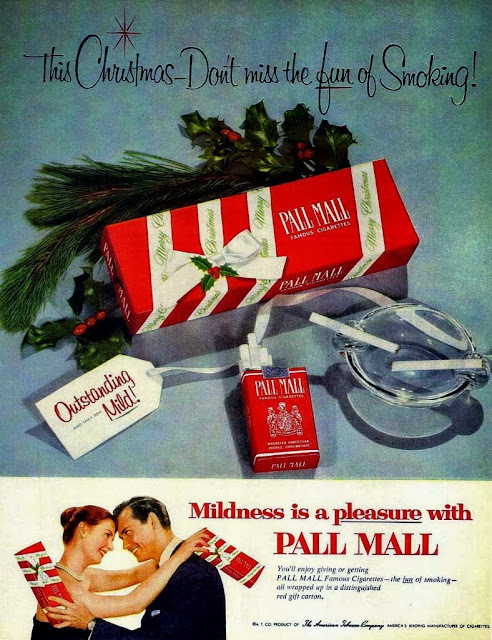 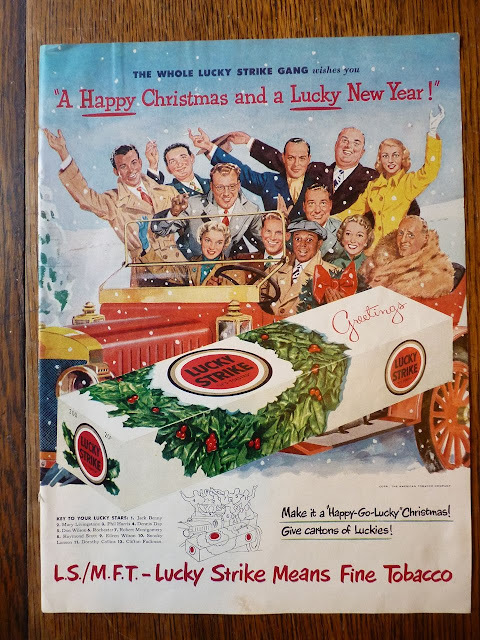 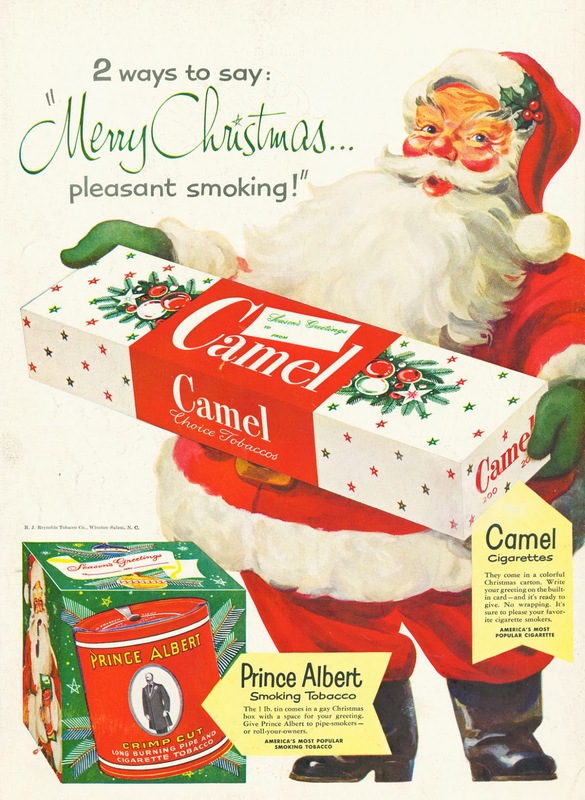 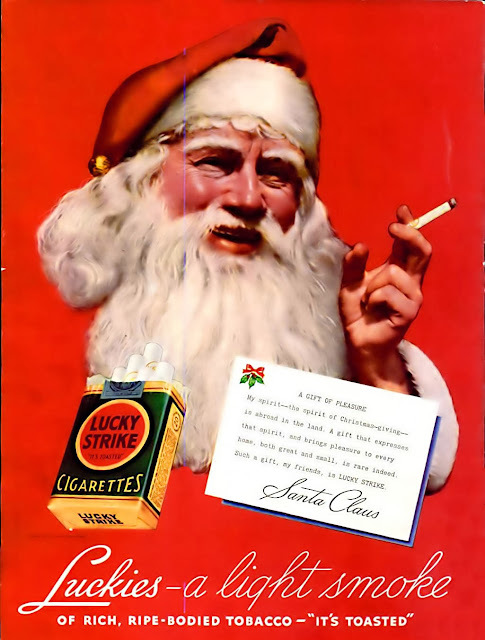 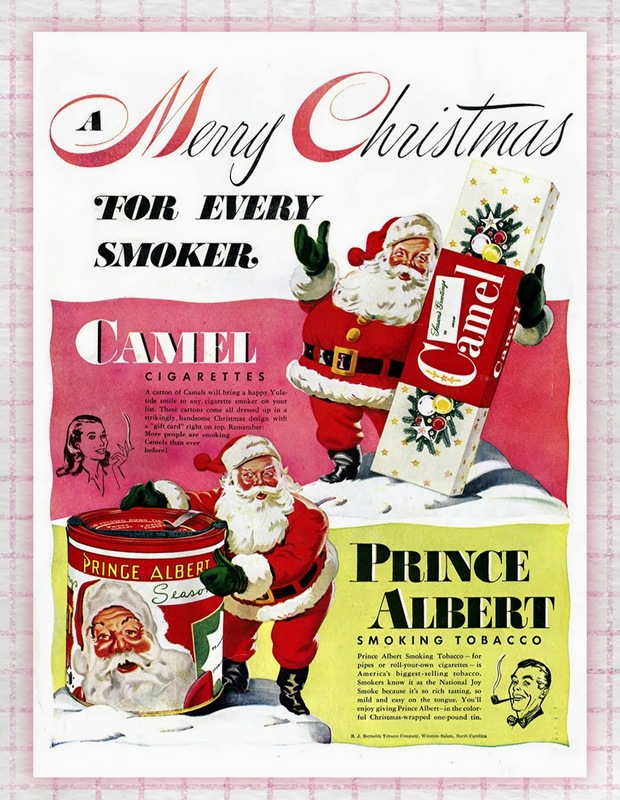 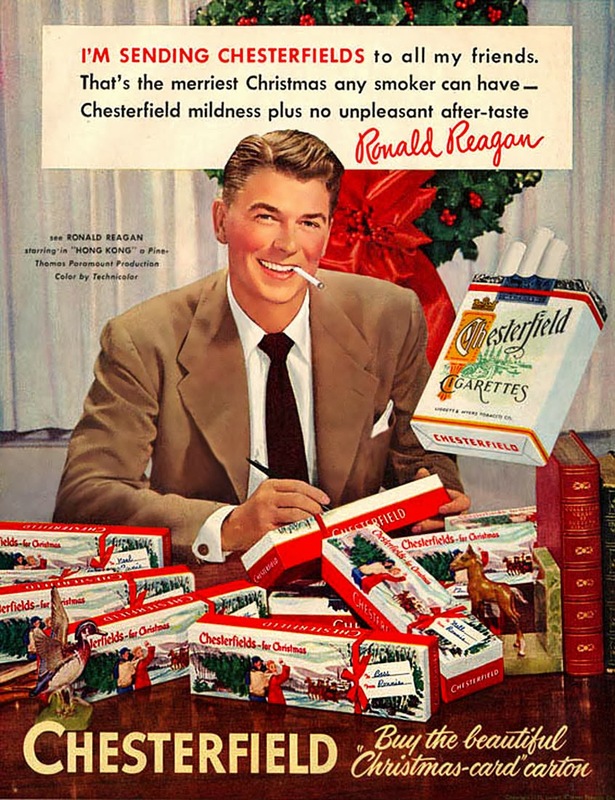 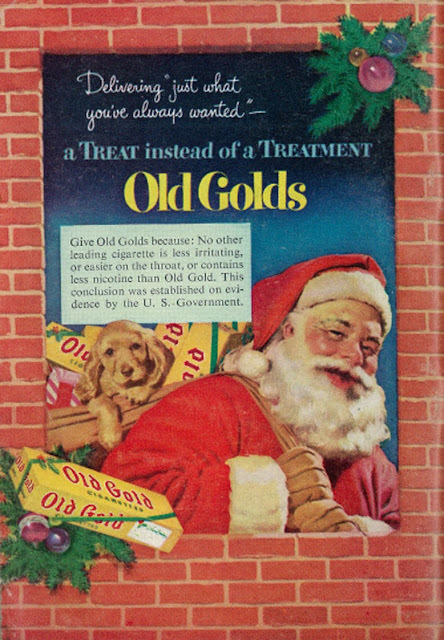 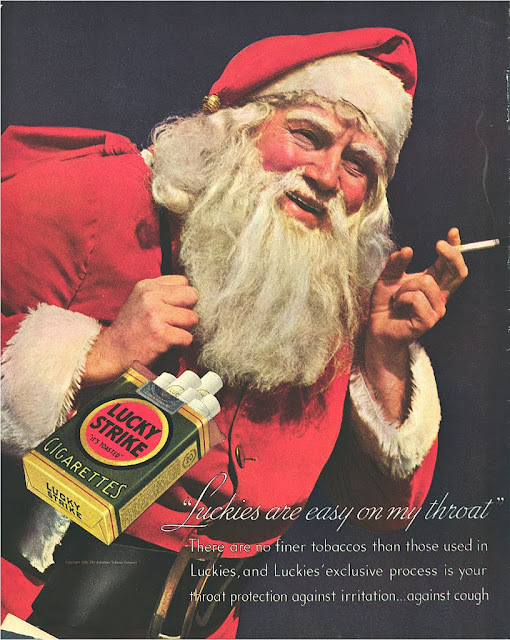 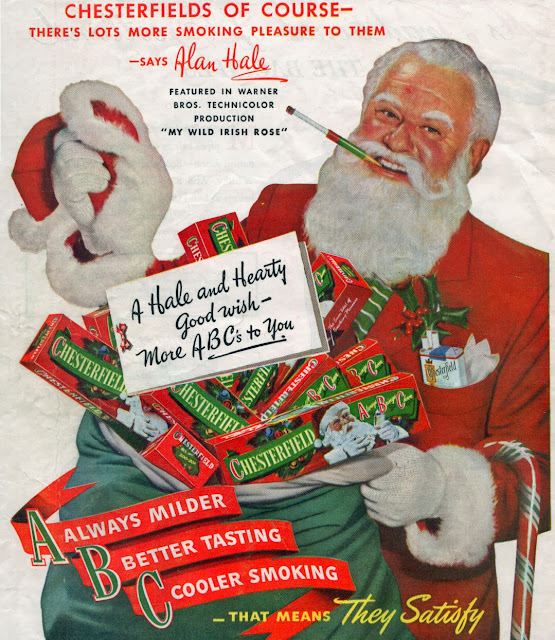 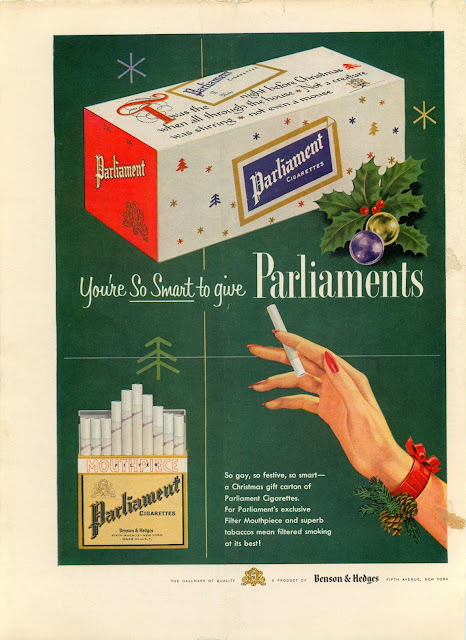 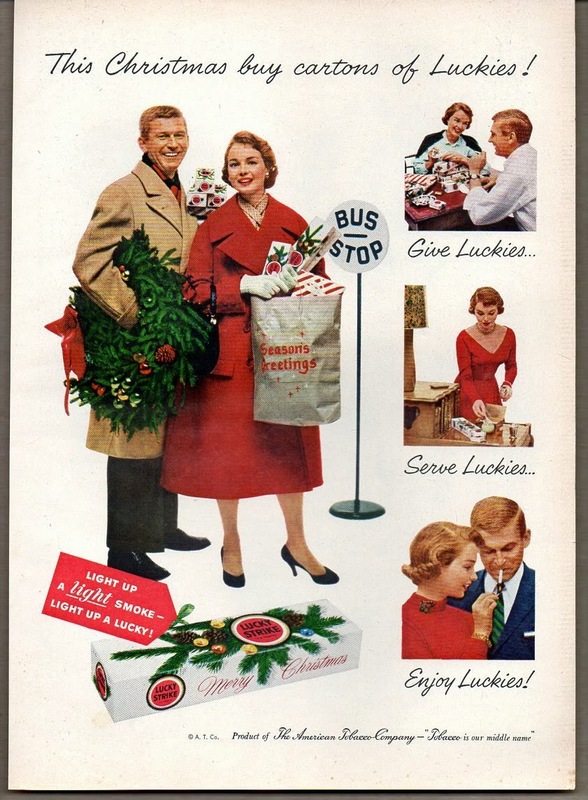 Please to enjoy some of these jolly old holiday persuasions for lung cancer and emphysema, and don't listen to that ninny Ronald Reagan -- stop smoking in 2014!